Since 2001, Ross Limo has offered luxury limousine service across the greater Los Angeles area. As a true leader in luxury transportation, our company’s services are tailored individually to the needs and wants of each client. 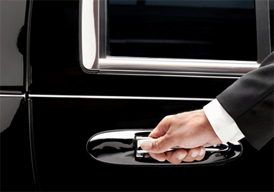 Our first-class services accommodate any transportation requirement. We provide our customers with an experience that is based on safety, reliability, and outstanding customer service. The company began with one driver, one limousine, and one vision. Providing impeccable first-class around-the-clock service was the calling card of company president Ross V. After building a reputation for a never-say-no attitude, the company’s clientele grew quickly and so did the company. Within the first three years, Ross Limo had acquired a small fleet that offered luxury sedans, SUVs, and stretch limousines to meet the demands of our customers. Thanks to our sterling reputation, our company is trusted by people from many different backgrounds. We have transported world-class athletes, award-winning musicians, top-tier politicians, and even royalty. However, our standards never change, as we aim to bring the best experience to all our customers. Our mission is to make sure that every client receives first-class limousine service in Los Angeles. We treat every client as a VIP and work with them to make sure their every need is met. What separates us from the rest? Learn what makes us the best limousine company in LA.